This post is by Misha Maruma. 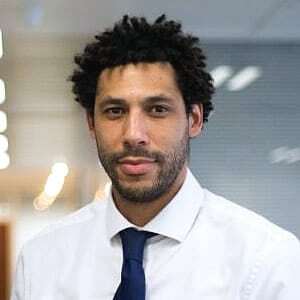 Misha is an online content writer for Nanjing Marketing Group, a company helping Western businesses connect with Chinese consumers. This post was first published on the Nanjing Marketing Group blog as Everything You Need To Know About Tmall Global. Alibaba’s IPO on the New York Stock Exchange increased this massive ecommerce company’s brand recognition outside of China. But any Chinese shopper will tell you they have been using Alibaba’s ecommerce services for years. Alibaba’s shopping platforms, including Taobao (consumer-to-consumer) and Tmall (business-to-consumer), are frequented by Chinese consumers looking for ways to buy brands that may not be available to them in physical stores where they live. In 2008, Taobao spun off Tmall as a platform solely dedicated to official brand stores, allowing brands to sell their goods throughout Mainland China. 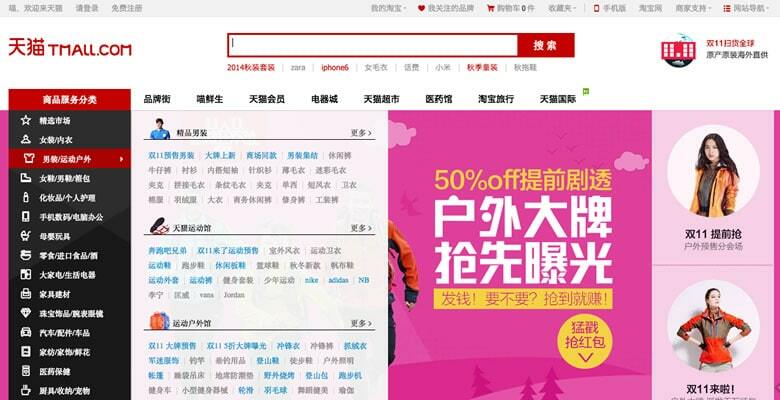 Tmall now has over 70,000 brands in 50,000 stores. Then in February 2014 Tmall Global was set up. The aim with Tmall Global was to encourage big foreign brands to enter the Chinese ecommerce market. Here’s everything you need to know about selling on this major new marketplace. It has become a trusted platform for Chinese consumers to buy both international and native-branded products, and products that are not available in traditional retail outlets. Tmall is part of Taobao, which is China’s number one online sales platform. It serves China’s 527 million internet users. It is not just the internet population of China that is huge but also its geographical size: it has an area of 9.6 million km2 – twice the size of Western Europe, and three times the size of India. Alibaba’s three online retail marketplaces – Taobao, Tmall and Juhuasuan – generated a combined GMV of US$296 billion from 279 million active buyers, and 8.5 million active sellers, in the twelve months ended June 30, 2014. That’s more than eBay and Amazon combined. Luxury imported cars such as Lamborghini and Mercedes have seen a 400% growth year-on-year. Following a food safety scandal, there was an increased demand for baby formula made outside of mainland China. American cookies and other classic US foods being sold has led to a surge in pre-orders for previously unavailable foods, with retailers regularly experiencing “sell-out” campaigns. China is fast becoming the biggest online market for wine, topping global internet sales ahead of more traditional wine-buying nations such as Brazil, the UK and France. The latest America brand to make waves is membership-only warehouse club Costco Wholesale. They launched a Flagship Store on Tmall Global reaching Chinese consumers directly with competitively priced food and healthcare products, ranging from clothing to groceries, laundry detergent and beauty aids. Tmall uses Taobao’s infrastructure and payment system Alipay, so Chinese users are familiar with all the services, and trust the mechanism that they have been using for years. Unlike Taobao, Tmall only accepts verified stores. This gives customers a guarantee that products sold online are genuine, which builds consumer trust and, in turn, conversion rates. Taobao promotes Tmall stores over and above other stores, which results in more and higher converting traffic. Tmall has exceptional analytics tools. The Daily Update analytics and daily sales reports can help merchants take strategic decisions and compare data against peers in Tmall. Only brands with a trademark (either ® or ™) can open a Flagship Store. The owner of the store must be a formal representative of the brand or hold exclusive authorization documents for setting up a Tmall Flagship Store, provided by the formal representative of the brand. Merchants with two or more brands within one of Tmall’s product categories can open a Monopolized Store. Only one “monopolized” store can be held per merchant in one product category. Businesses intending to set up on Tmall must have a corporate entity outside of the Chinese mainland. The brand must be registered overseas and have “qualifications” for overseas retailing. They also need to have good credit and an operating performance overseas. A corporate entity outside of the Chinese mainland. Brand owner, agency or authorized merchant. Brand owners or authorized agencies are preferred. Logistics services must start delivery within 72 hours of orders being placed. You may choose to deliver directly or deliver to Chinese bonded warehouses first, then to Chinese customers. Shipping needs to be tracked. After-sale services must have locations for handling returns on the Chinese mainland. Deposit – this is for reimbursing consumers after a Tmall shop has breached the Taobao Mall Service Agreement, normally meaning they have sold counterfeit products. The deposit required is between US$8,000 to US$25,000 depending on the chosen store format and the trademark status. Submit product information and wait for checking. This takes up to ten working days. Register for an overseas Alipay account. To apply offline this takes around seven to ten working days. Sign the agreement and pay the annual service fee and deposit. This takes about seven to ten working days. Open the store. This includes registering an account in Tmall Global, taking a test, completing the information needed, adding products and finally launching the store. There are excellent prospects for overseas firms seeking entry into the Chinese market, because the demand for high-quality products is increasing all the time. Tmall Global greatly simplifies the process for Chinese to purchase goods from overseas. Previously, buyers had to know some English and have a credit card with access to foreign currency to purchase from overseas. Delivery would take up to 30 days or more, whereas products in Tmall Global are guaranteed to be delivered within 14 days. Setting up an online store through a marketplace such as Tmall Global is the easiest and most cost-effective way to start online sales in China. You can fully customize the shopfront, and integrate the back-end into your order management system. Tmall should not be seen as a temporary addition to your ecommerce business, but a long-term channel that needs a strategic approach to meet consumer demand and build a successful, long-term brand presence in China. I enjoyed your post very much. Very informative and enlightening. I did not know companies like Nanjing Marketing Group existed. I can see where your industry can open up tremendous opportunities for foreign vendors. Thanks again for a splendid article. Is this article slightly out of date? They don’t accept new Tmall Global account creation any more, instead, it is by invitation only. Any insights on how this invitation system works? Hi there. I run a Tmall Partner (TP) Agency (http://www.web2asia.com). It’s indeed true that Tmall Global has switched to an invitation-only model. This is to maintain the quality of customer experience on the platform and only allow large brands or SME brands with proven potential for the China market. Here are some quick tips: 1. check the Tmall domestic invitation list (available in Chinese only) – if the brand is on that list then Tmall Global won’t be a problem either 2. contact a TP first before you get in contact with Tmall Global. They will be able to provide you with a (usual free of charge) assessment on if the brand will be eligible to join Tmall Global and what the approx. sales potential is. Once the TP agent is confirmed with the brand and under contract they will help to put together a business case and pre-submit it to TMall Global. Depending on the outcome the brand may then be allowed to go through the online application process. Good article! However, Tmall Global is not necessarily an affordable solution for all businesses. There are three groups of costs: Set up, marketing and Tmall Partner. 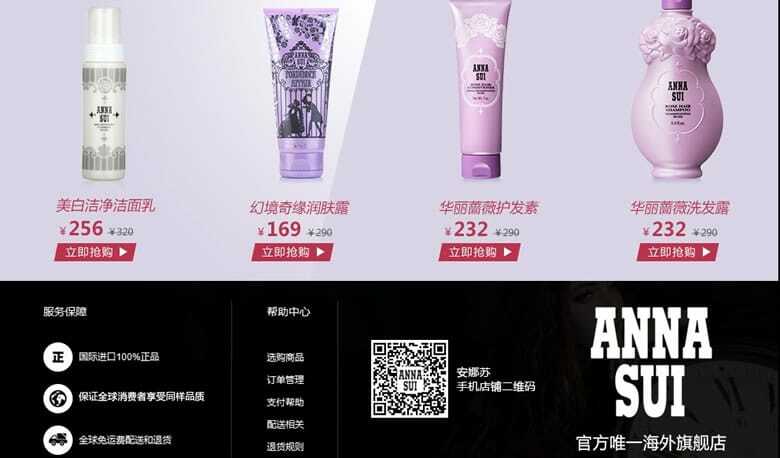 The ballpark figure for set up is US$15,000 to US$100,000, depending on factors like if you’ve registered your trademark in China already and the number of products you have. To reach one million US dollars in sales a year, one of the Tmall partners recommended their clients to spend at least US$10,000 a month on marketing. If a Tmall partner acts as your agent, they might charge a percentage of your sales as commission. Alternatively, they might act as your distributor and the fee structure will be different from that of an agent.